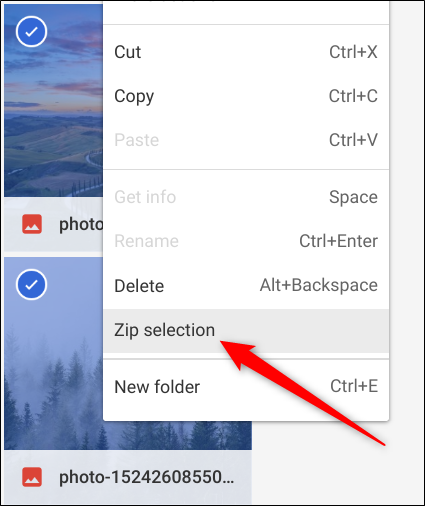 To get started, open the Files app and navigate your way to the folder with the files you want to zip up. 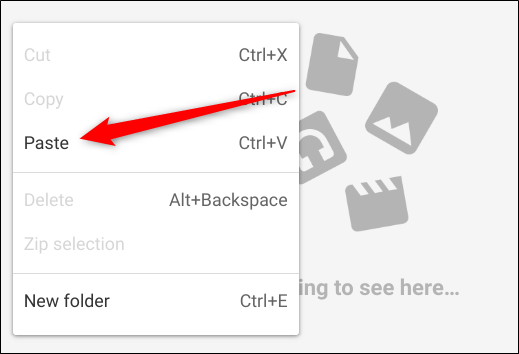 Once here, highlight all the files you want to add by holding down Ctrl while clicking each file to be added. Then right-click on the selected files and click “Zip Selected” from the context menu that appears. The files are zipped and added to a file named “Archive.zip” in the current directory. The name is “Archive” by default but can be changed to whatever you’d like after it’s created. Now that you’ve zipped your files, they’re ready to be uploaded and sent off to friends and family as an attachment in an email. 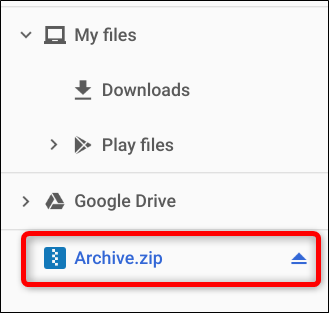 If you were sent a ZIP file as an attachment from a friend or family member, unzipping it on your Chromebook is just as easy as it is to zip. It even does RAR files natively, as well! When it comes to unzipping a file, Chrome OS does things a bit differently than you may be used to if you’re coming from PC or Mac. 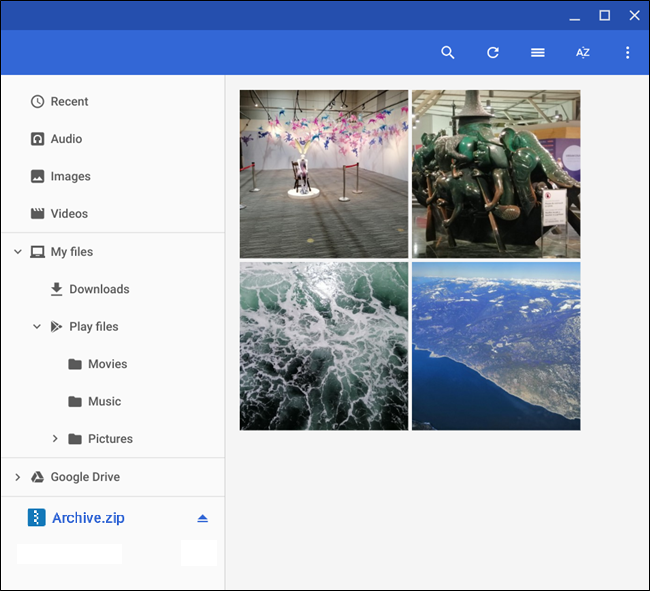 Instead of opening the file to see the contents, Chrome OS mounts the file as if it were an external drive inside the Files app. If you received the file via email, download it and navigate to it in the Files app. Downloads are usually found in the “Downloads” folder. Double-click on the ZIP file to open it and the contents of the file are displayed. Notice that when you open the file, it gets mounted as an external drive on the left side of the window. That’s all there is to it. 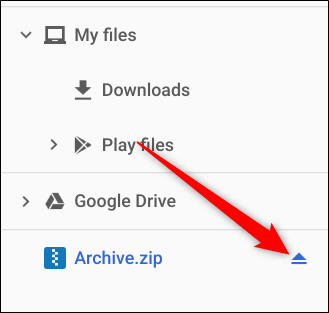 After you’re done extracting the files, click the eject icon to unmount the ZIP file from the Files app, and now you can safely delete it from your Chromebook.